And surprise, surprise, it was actually warm enough for me to go outside and take a few pictures, so I did. It was so warm, the icicles hanging from the eaves were dripping. 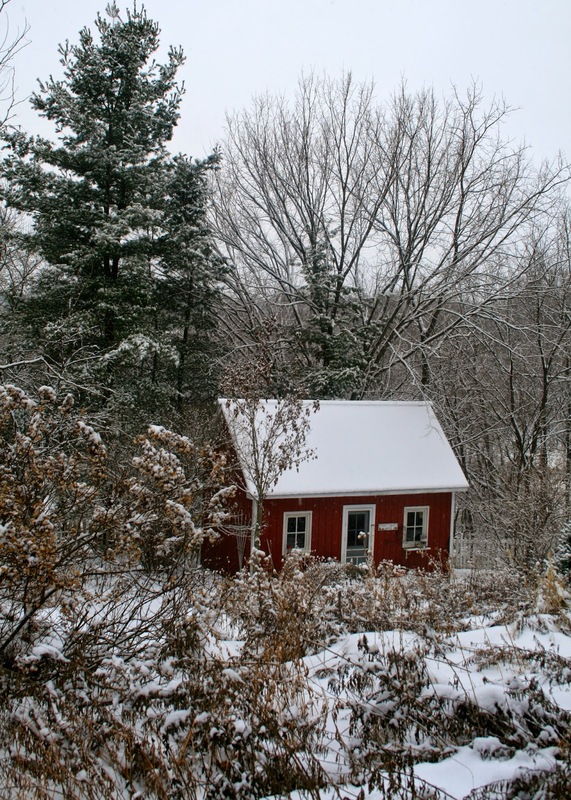 I've always loved how my little red garden shed stands out in the snow. That and cardinals. Except, I can never capture a cardinal on film. They scatter like the wind the second I step outside, and I don't have the patience to stand still and wait for hours for their return just to take a picture. So I enjoy the spot of the beautiful red cardinal from inside my house, through a window pane. How much snow can stay atop a dried floral bush before it has to land elsewhere or the plant keels over? Snow covered pines are the best! If only I could flock a Christmas Tree so perfectly. Yup, only so much snow can stay on top of this thistle, before it starts to keel over. I sure do love my Kamik boots in this kinda weather. 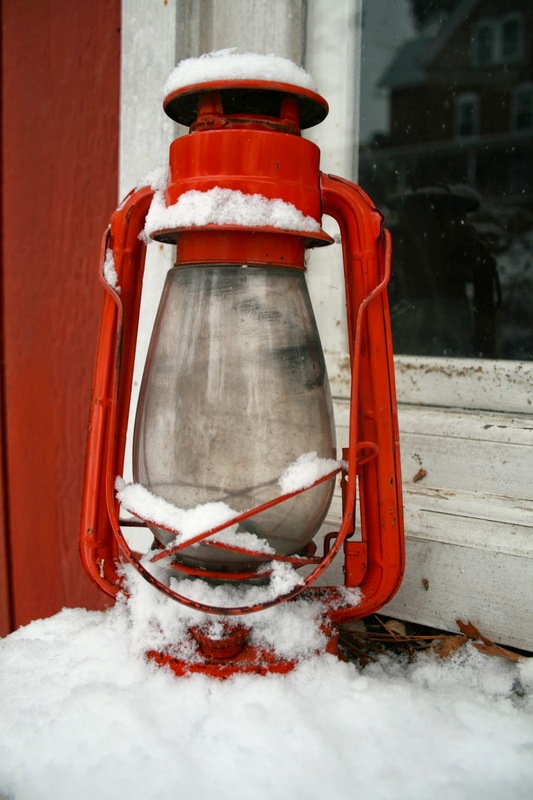 But I hated to walk through my yard and ruin the beauty of the fresh fallen snow. I was careful where I stepped so that the footprints wouldn't show up in the next photograph. I love how the snow lays so perfectly on every single evergreen branch. Looks like it didn't take long for the snow to start sliding off the metal shed roof from when I took the first picture above. Good thing I wasn't standing underneath it when it started to go! I use to have window boxes on my garden shed window ledge, but I so tired of walking all the way down there to water them everyday, so I found some old items and just set them on the ledge instead. They sit out all year long, and if they get rusty and worn they only look better as far as I'm concerned. 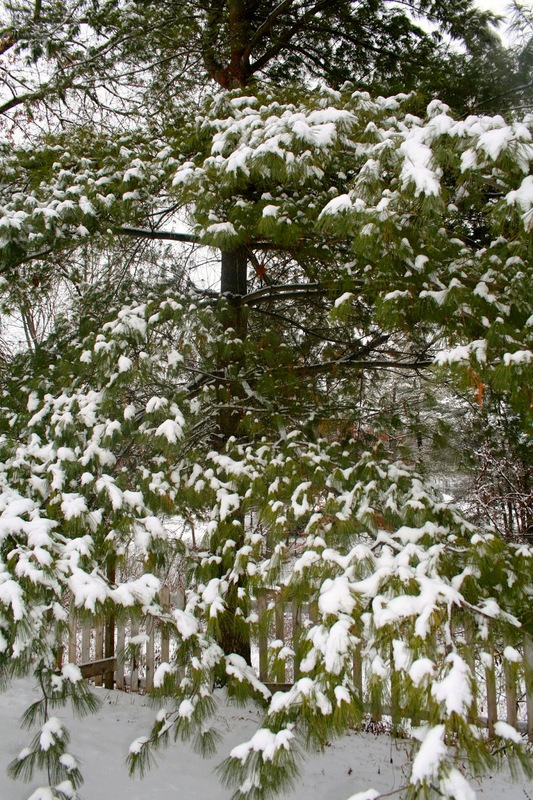 The snow was so heavy for these pine trees the branches bent so much that they were almost touching the ground. I could actually stoop under them and get a pretty shot of my house from behind the branches. I've always loved this creepy, old, abandoned shed on the other side of my property. A snow covered hydrangea bush. And finally, a snow covered juniper bush. Yup, only about four or five more months till I see these beauties again. 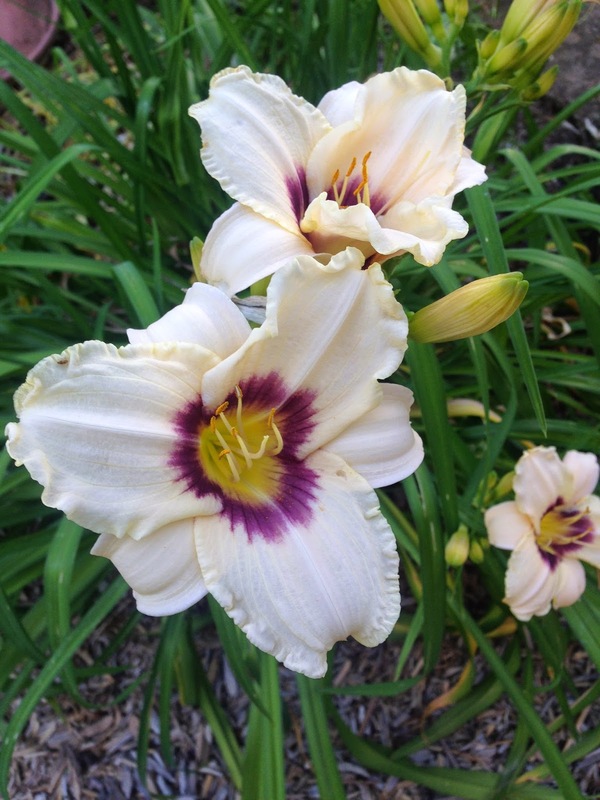 I know I'll have spring flowers before then, but these are day lilies and they usually bloom in late June or July. Your backyard looks like a beautiful vacation spot! Glad is wasn't so cold this time, so you could actually enjoy the beauty of it! Thanks for sharing these amazing photos!